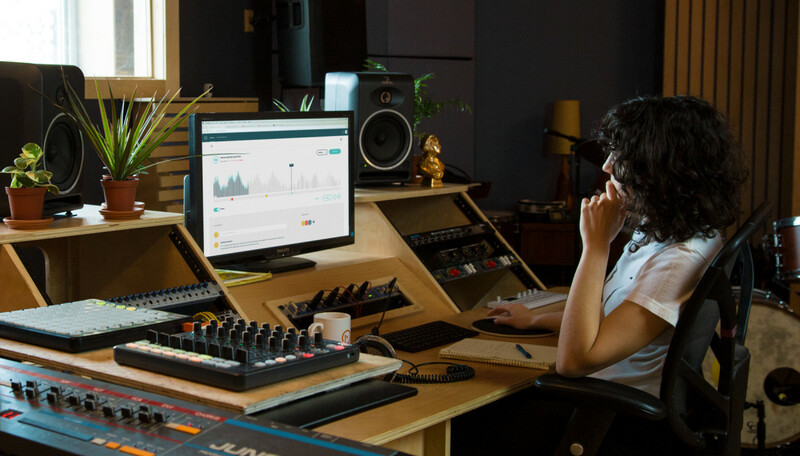 LANDR, the #1 mastering service on earth, now also features a robust suite of workflow tools for musicians. 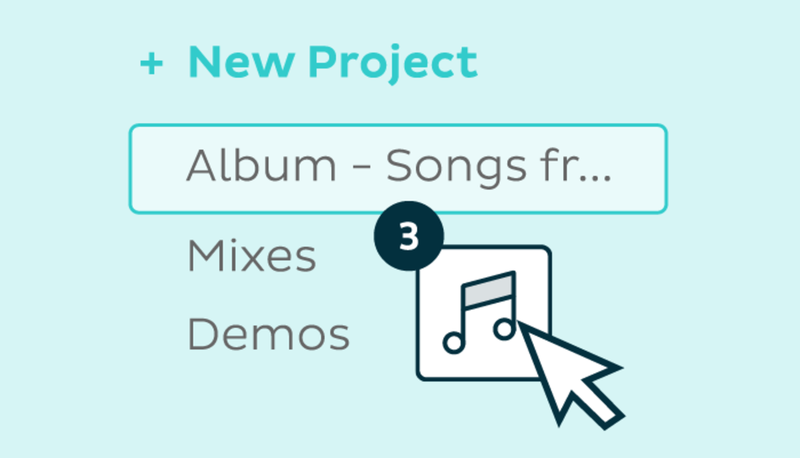 The new tools include Projects, a new annotated player and feedback collection, and a revamped user interface. 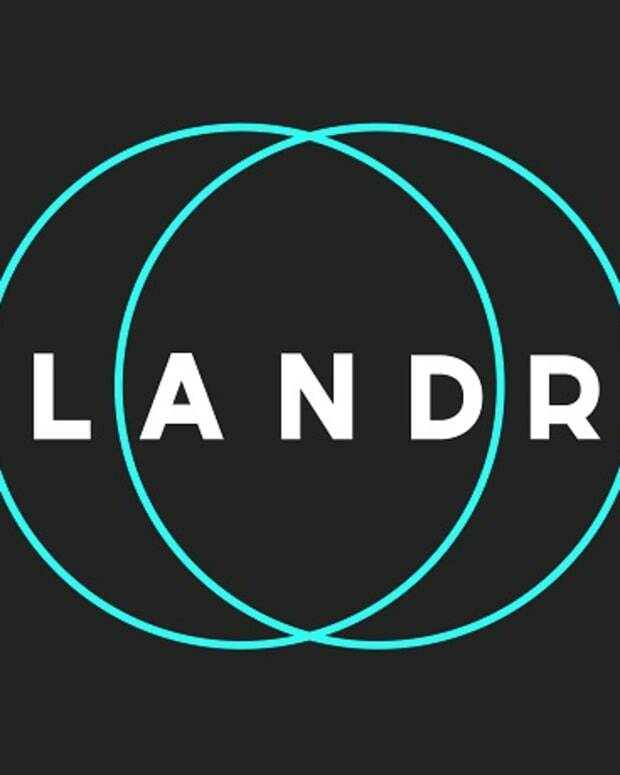 Poor or lack of organization is a major productivity killer for producers, and on a quest to dominate the studio space, LANDR is tackling the problem at the source - during the creation process. 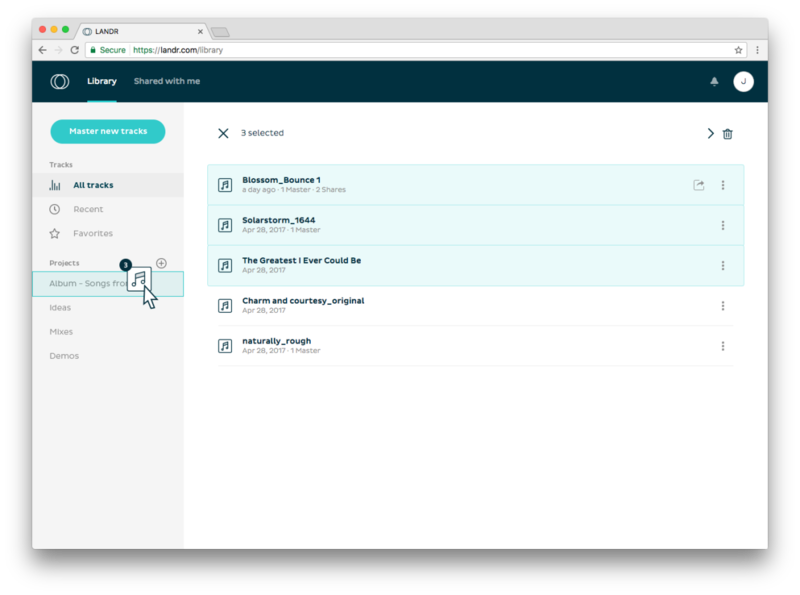 LANDR users can now create custom Projects for anything they’re working on - whether they want to consolidate demos, or use a Project space to workshop an album to completion. 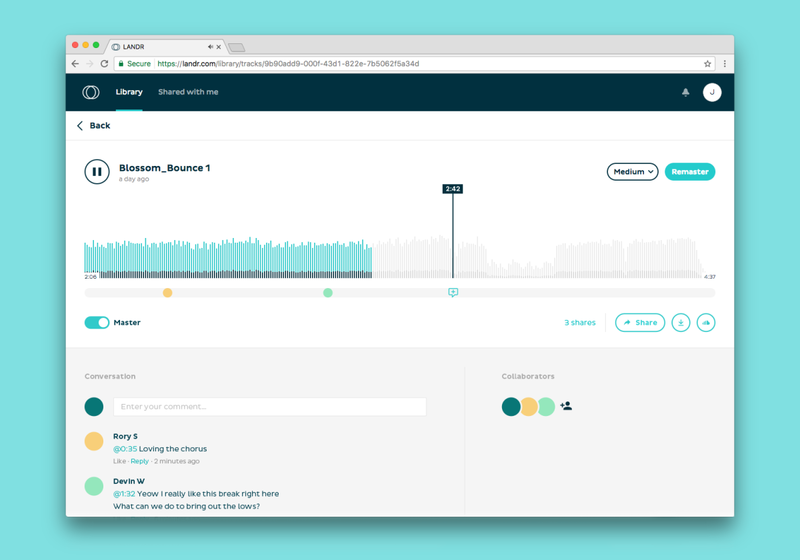 In addition to customizable Projects, LANDR’s revamped user interface also smooths out the process of song creation, making it easier for music creators to finish songs faster. While organization skills are essential, receiving feedback and another set of ears is also extremely important. The inability to leave feedback specifically where it’s needed makes the process of workshopping songs inconvenient and cumbersome. LANDR’s new interface removes the effort and headache from collecting feedback by allowing users to share and comment directly from within LANDR. 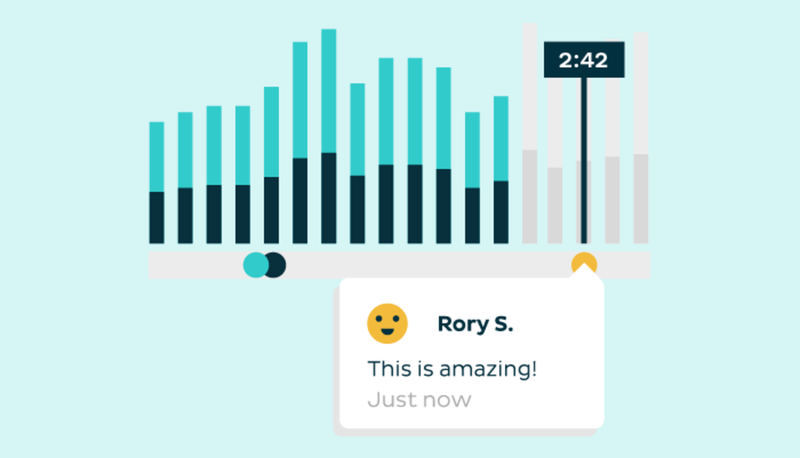 Comments can be left at specific timeframes of a track, meaning musicians can now ask for feedback at the precise moment where they need it. “The new LANDR workflow features let me work faster and safer. Keeping everything within the LANDR platform helps avoiding any leaking, and it speeds up the work process instead of having to upload tracks to SoundCloud or Dropbox and then waiting for feedback. Thanks to the annotated player it&apos;s easy to receive accurate comments, in very precise points of the track. It really saves time. 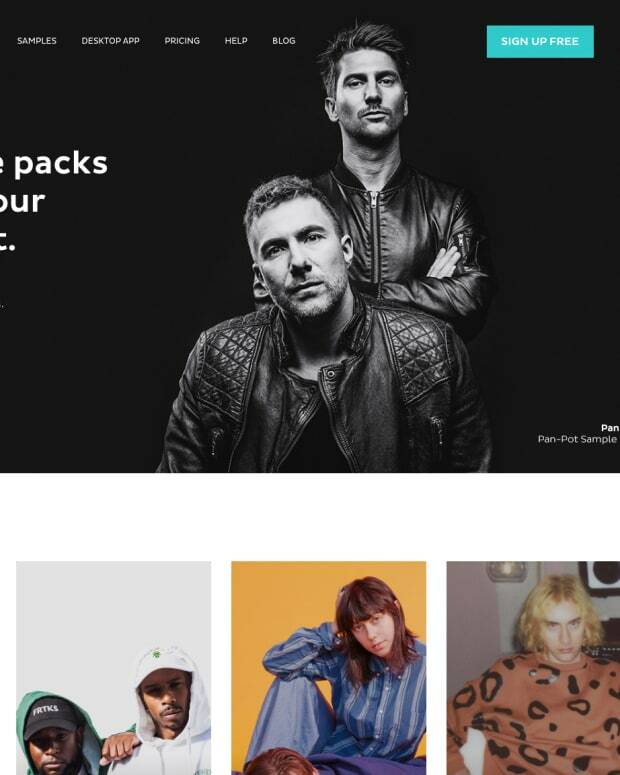 Being able upload everything to LANDR and separate it into folders makes it easier for organization, storage and to access the material wherever you are,” said DJ and producer Misstress Barbara. 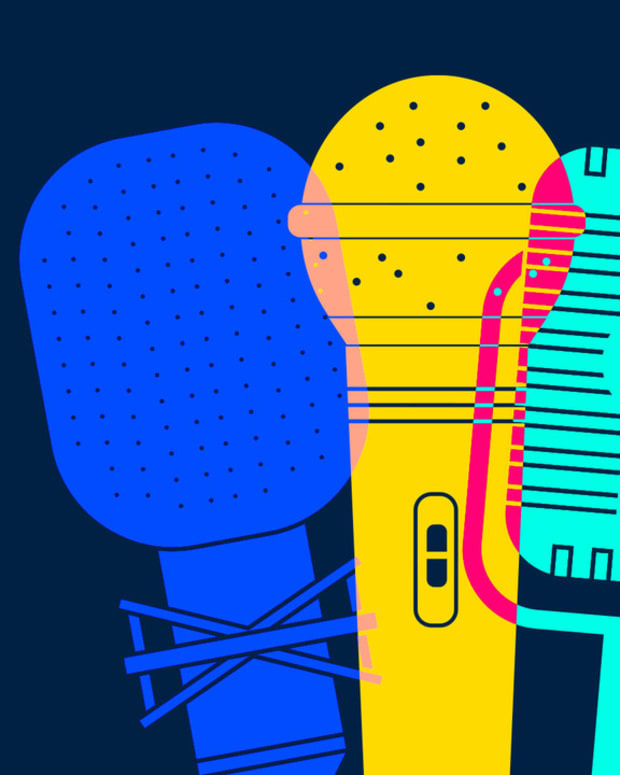 All of these developments contribute to LANDR’s goal of giving musicians the power to create and get heard. To celebrate this new update, LANDR is giving you two free WAV masters completely free. Click here to claim yours.